A life in a webbis: Nippon Paint Blobbies Selfie! Good day friends! Happy Tuesday! It is only two days left for us to enter 2016. What have you done so far in 2015? Any achievements, good memories to share? I'll share mine in a dedicated entry soon! This entry is solely for Nippon Paint and its cute blobbies! If you do added me on my personal facebook account, you'll see me posting about Nippon Paint and blobbies a lot. I am not working with Nippon paint but i am running a campaign together with Churp Churp to promote Nippon Paint event. This event specially made by Nippon Paint Malaysia to enhance the awareness of their incredible paint! Now, not only a bucket of paint can be paint on a cement, it can also be painted on glass, tiles and more! 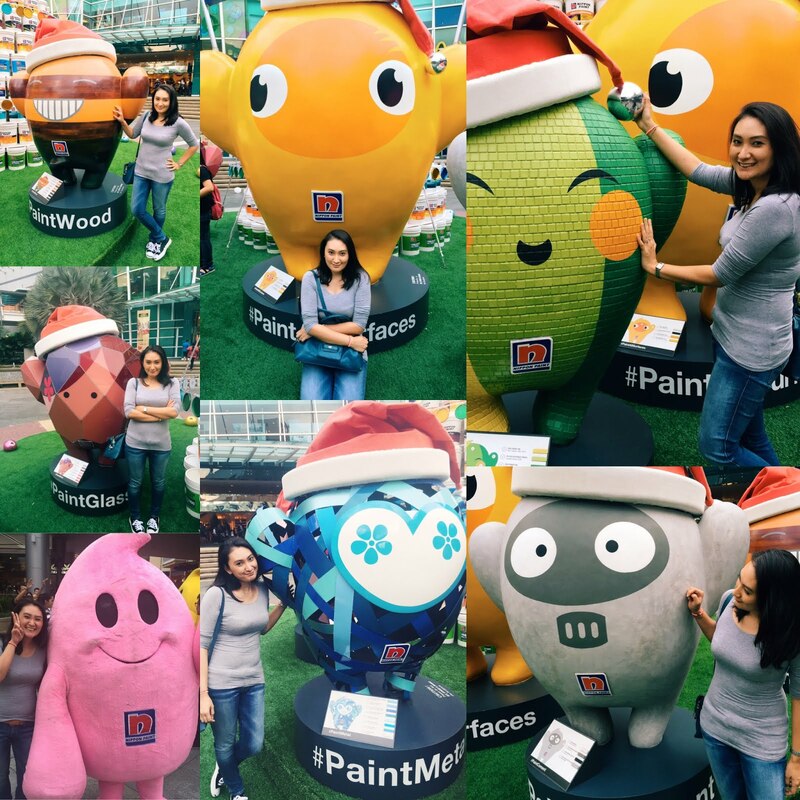 If you do catch up with these blobbies at Piazza The Curve (Outside The Curve, towards e@Curve area) do take a selfie with them and hashtag #PaintAllSurfaces and upload them on Facebook or Instagram or both! Follow Nippon Paint Facebook & Instagram today!